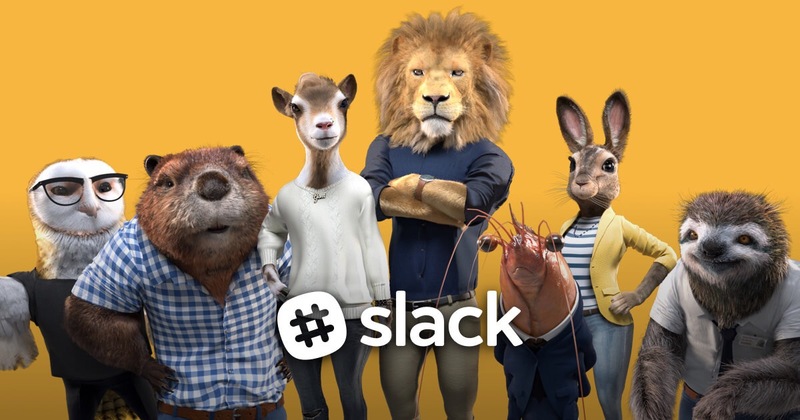 They’re quite diverse, yet they work as an office team…the CGI animals presented in a commercial for the messenger app “Slack,” that is. Headed by a lion boss called “Geoff” who observes a prawn employee (Alan) struggling with an umbrella, the idea of a flying umbrella is born, developed, and implemented by the surreal office team which includes a beaver, goat, rabbit, owl, and sloth. They all act in accordance with their respective species, with the sloth, for example, moving in slow motion. The commercial spot is surreal yet captivating, and it works as does the product. This entry was posted on April 11, 2016 at 2:35 am and is filed under absurdities, animal elements, animals, Brilliant but twisted, furries, furry, furry commercials, television. You can subscribe via RSS 2.0 feed to this post's comments. You can comment below, or link to this permanent URL from your own site. I still think it’s a thinly-disguised plug for ZOOTOPIA.